It doesn’t matter whether you’re driving to work or taking a road trip, you and your fellow passengers want the opportunity to play your favorite tunes and enjoy the ride. Jamming to rock and roll, Latin, rap, country, pop, techno, or folk music, you want a fabulous experience and the ability to amplify the sound for different occasions, from car rallies to Sunday drives. 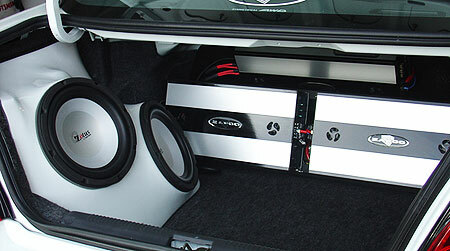 If you are looking for custom car audio systems, JCS can help with the design and installation of any audio equipment. What is Your Vehicle Type? 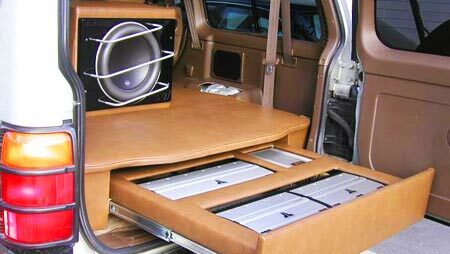 Every vehicle has a different amount of space for adding the typical audio components and different sizes of speakers and subwoofers. A car with a lot of space in the trunk and under the seats, for example, will accommodate larger amps, subwoofers, and pieces of audio technology. Typically, smaller vehicles provide limited space for the installation of custom audio equipment. What System Design Fits Your Needs? When you are seated in a car with a custom car audio system, the first thing that catches your attention is the name brand of the head unit. You will also want to incorporate high-quality speakers, housing units for six-disc players, MP3 players, connections to HD video, extra speakers, amps for greater amplification of sound, and subwoofers, to name a few. What Custom Considerations Impact the Design? With Custom Car Audio Systems Custom Car Audio Design by Joe’s Stereo, there are many considerations for expertly fitting all components into your vehicle without detracting from the appeal and comfort of the interior. For example, subwoofers and speakers might be arranged in a parallel or series array to enable the amplifier to manage the load and deliver optimal performance when the volume is at maximum output. At Joe’s Stereo in San Diego, our professional car audio technicians work with the top brands in car audio, including Alpine, Pioneer, JL Audio, and VIPER. Our Custom Car Audio Systems Custom Car Audio Design projects will impress the most discerning customers. The make and model of your domestic or foreign vehicle does not matter. We encourage you to visit our gallery of Previous Work and see the impressive car audio systems we have designed for many satisfied customers. We will gladly design for you a similar system or go anywhere your imagination and budget might take you. We offer Quality Custom Car Audio Packages.